The Technical Manager is responsible for designing, sourcing and installing the technical solution, with support of 1001f technical team. He / she will also be responsible for all of the technical activities in the water kiosks, ensuring appropriate technical maintenance and standards. In order to carry out these responsibilities, the Technical Manager will have to travel frequently to the different areas where the project is operating. He will be based in Magway and will report and work directly to the Project Manager. Install production equipment’s (unit treatment, energy supply, pre-treatment process…) according to the guidelines. Provide assessment including failure analysis and technical solutions when technical problems occur. Organize regular practical training and evaluation of the technician, Entrepreneurs etc. Engineering degree with 5 years’ experience in technical / energy area – ideally with knowledge of Reverse Osmose water treatment technology. Ability to impart knowledge and technical issues to people with and without technical skills. 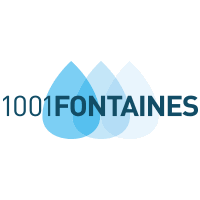 The 1001fontaines project has been acting as a non-profit social enterprise since 2007, supporting local communities to provide access to safe drinking water. We operate more than 200 sites (called water kiosks), delivering cheap and safe drinking water to over half a million beneficiaries, employing more than 600 local operators (Entrepreneurs), in Cambodia, Vietnam and Madagascar. 1001fontaines has the ambition to reach one million beneficiaries by 2020, thanks to our partner Network Activities Group in Myanmar. NAG is a local organization, created in 2008, to respond to the disaster caused by Nargis cyclone. Its mission is to facilitates social and economic development through collaborative, community-driven projects focused on empowering communities, strengthening civil society and promoting good governance.